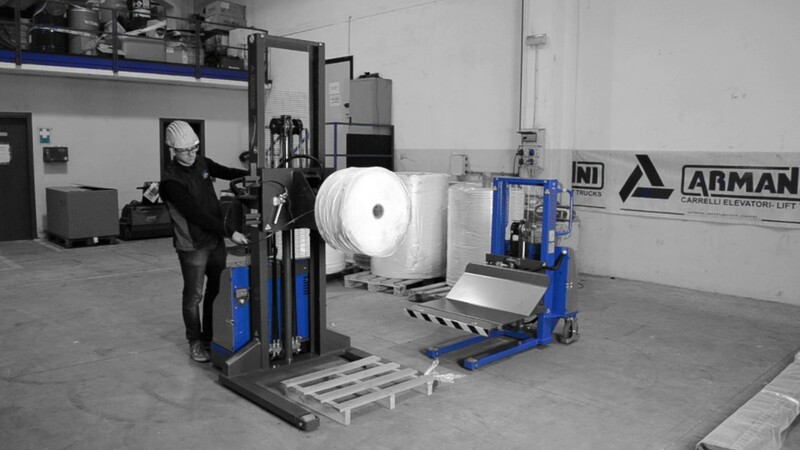 All the situations that require to adjust the reel from the vertical to the horizontal position (and vice versa) can be made easily and safely by rotating the clamps that our machines are equipped with. 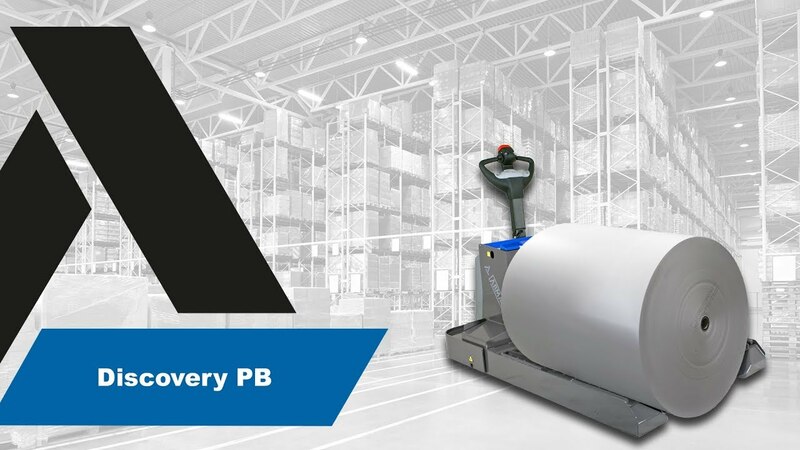 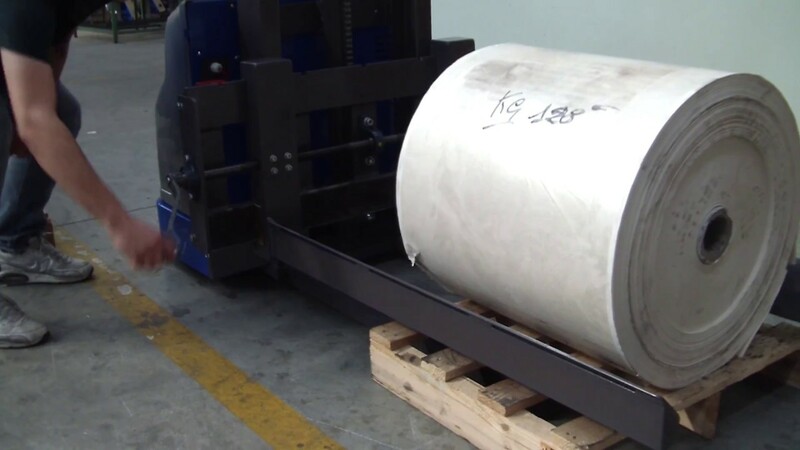 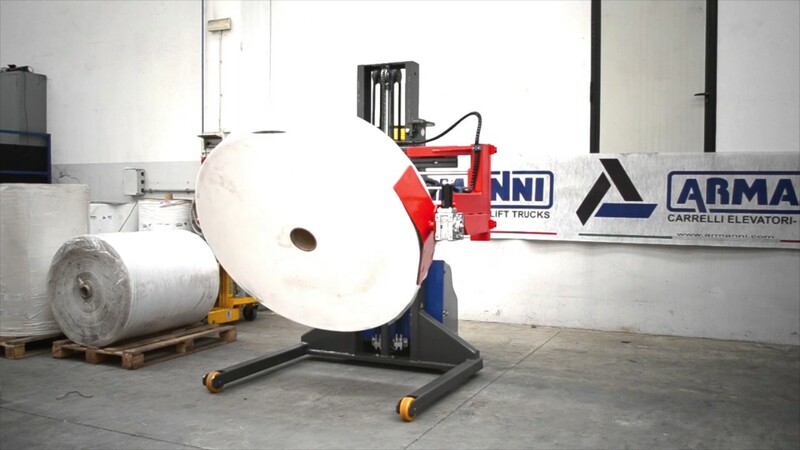 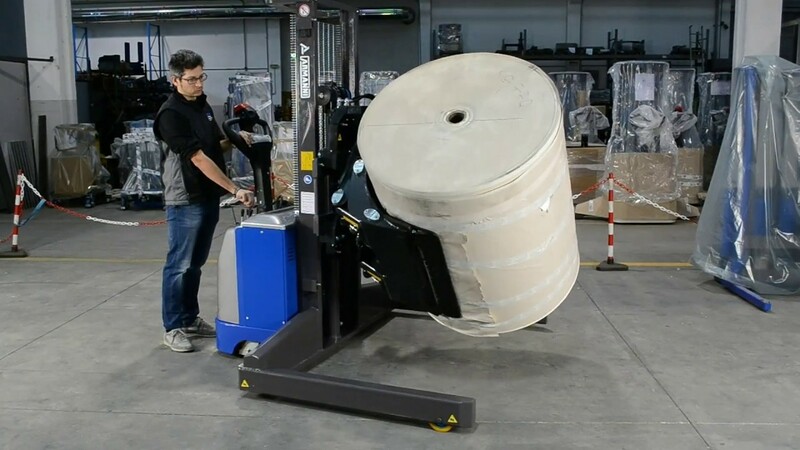 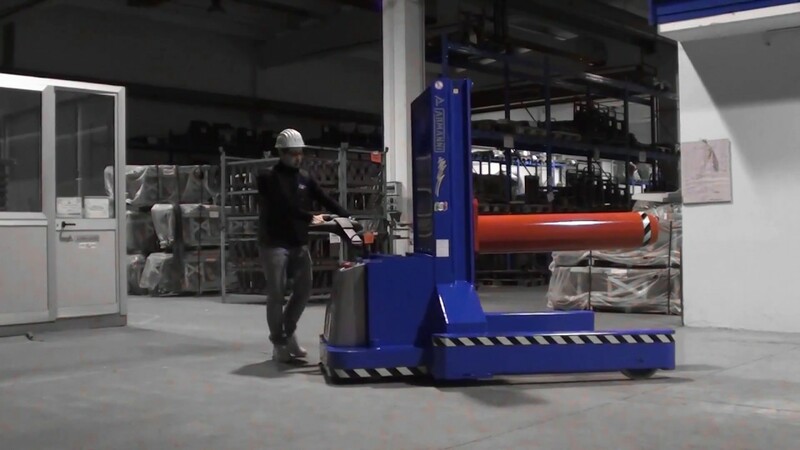 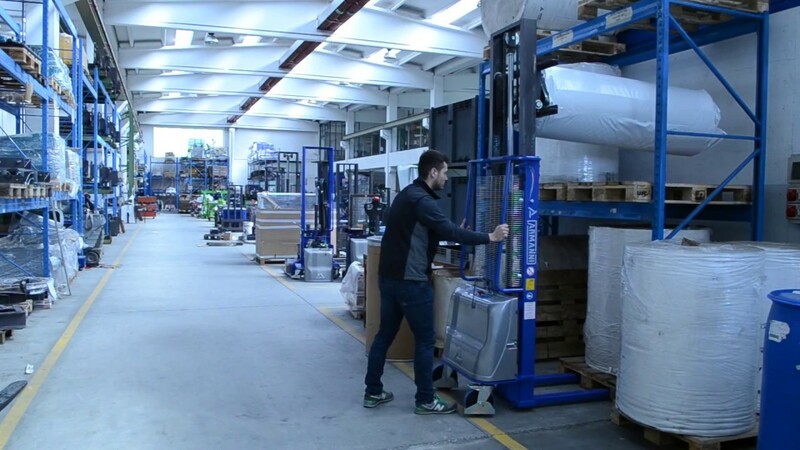 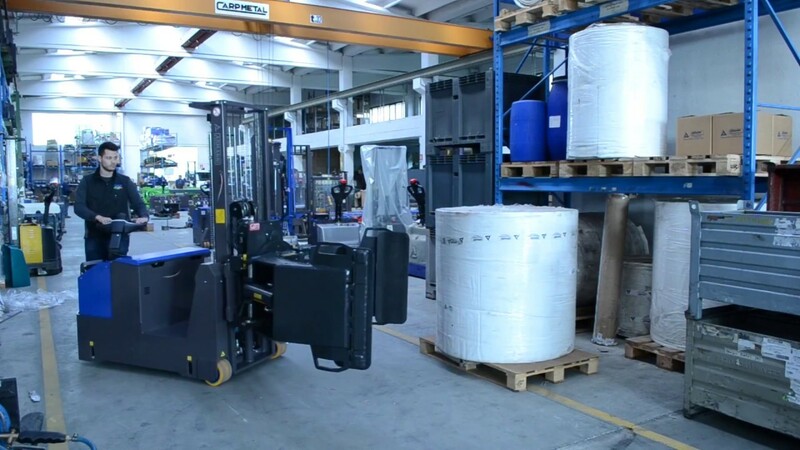 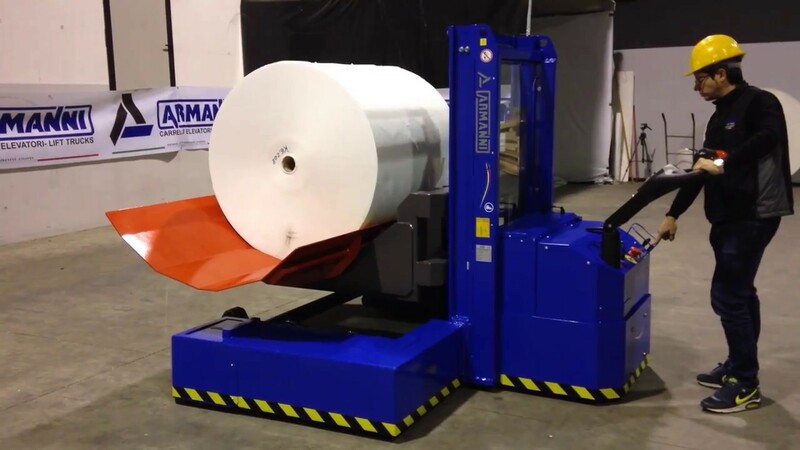 The load can be picked up from the floor, a pallet or the machinery, while the 90°, 180° or 360° rotation is carried out by using the specific manual- or hydraulic-drive mechanism. 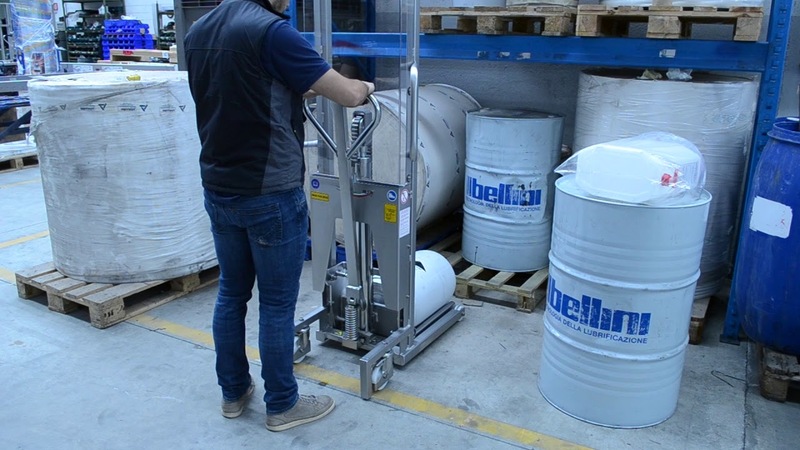 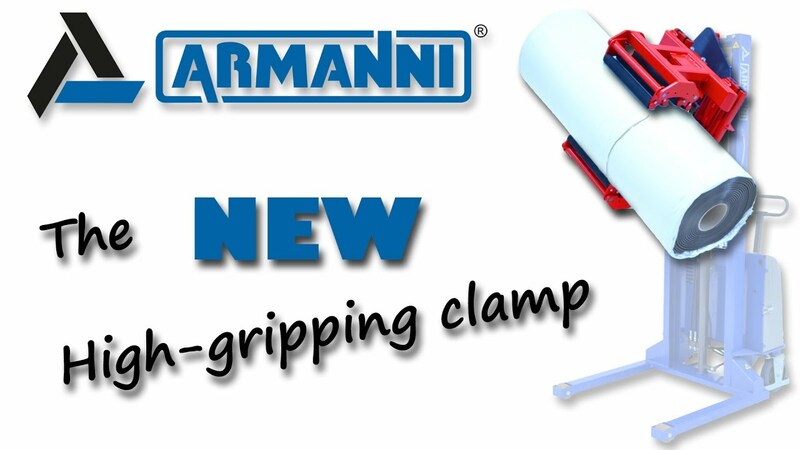 The handling solutions equipped with clamps for expanding pneumatic shafts make it possible to carry out, in complete safety and with extreme ease, all the picking, deposit and storage operations from the machinery to the storage station. 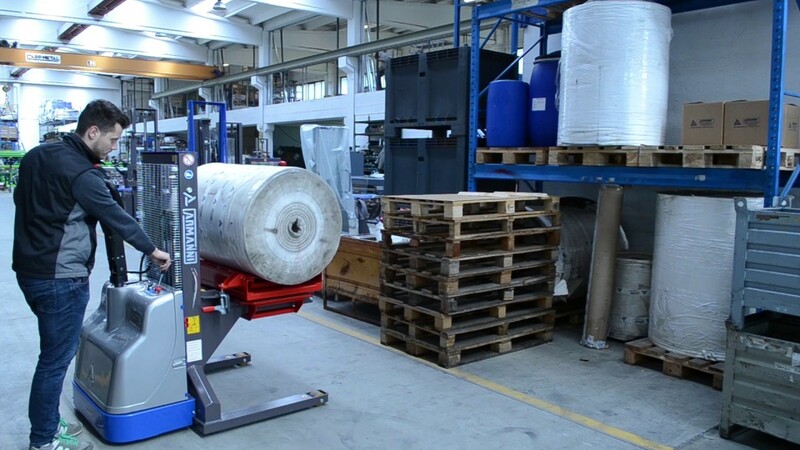 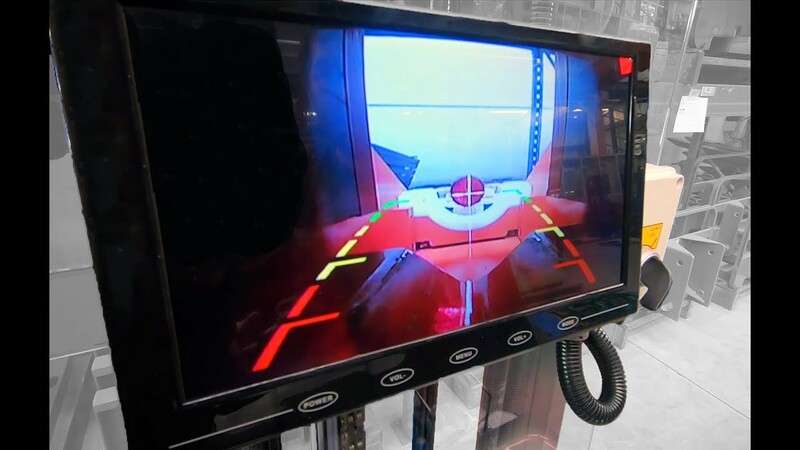 Thanks to this practical solution, it is possible to perform the operation in a few seconds without being tied to fixed cranes or bridge cranes systems. 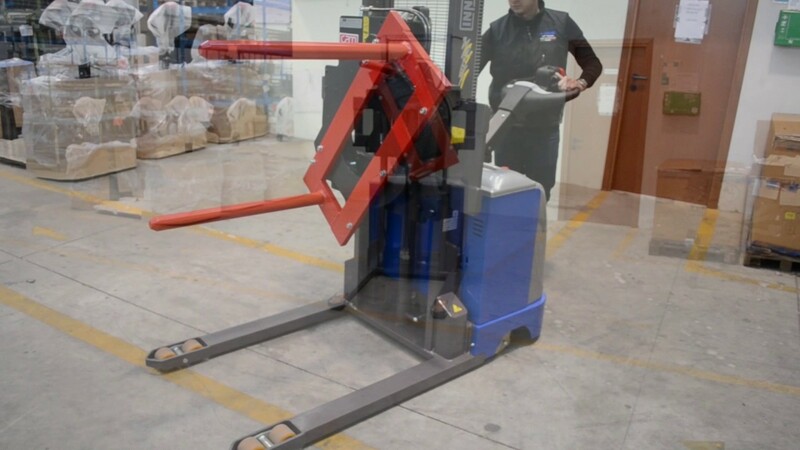 Thanks to optional accessories such as cross laser pointer, high definition camera and sideshift attachment, absolute precision in the picking phase is guaranteed. 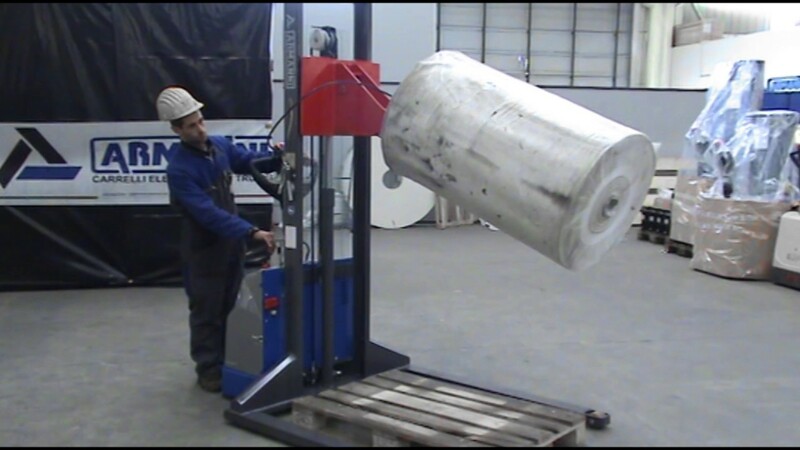 By means of a specific expanding mandrel, the manipulators allow to pick up the reel from its core. 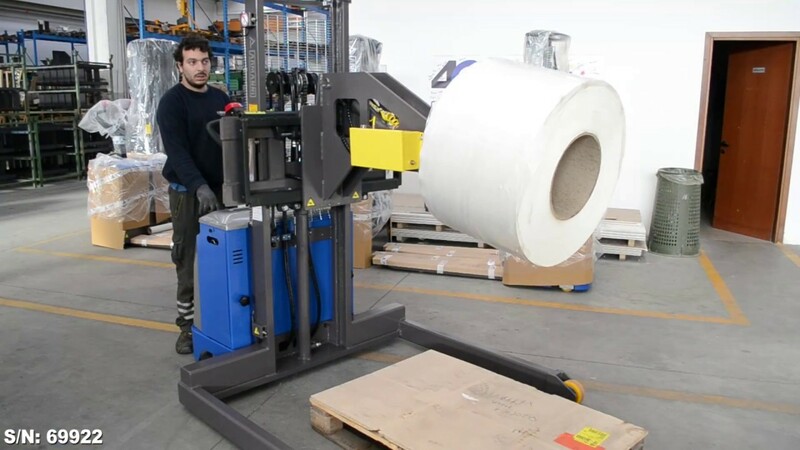 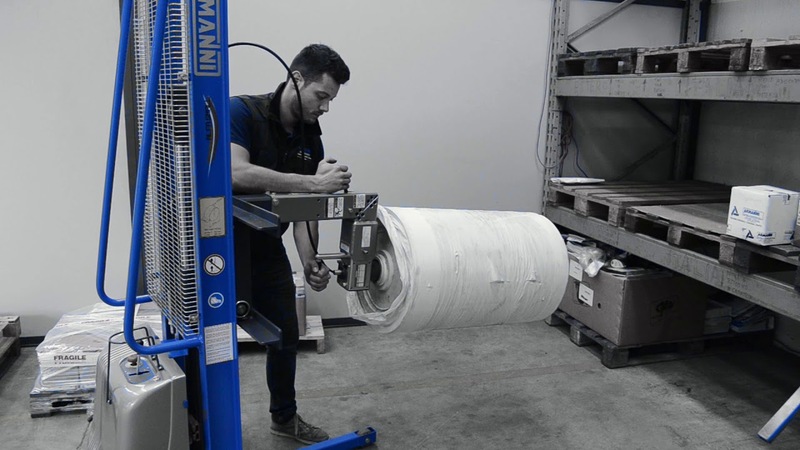 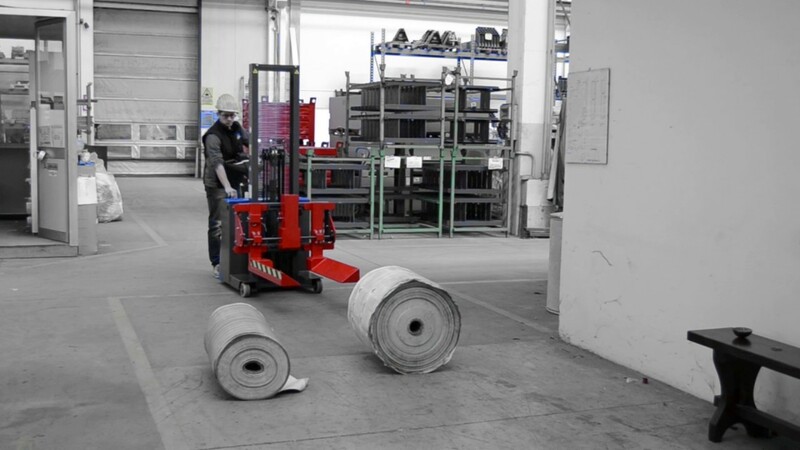 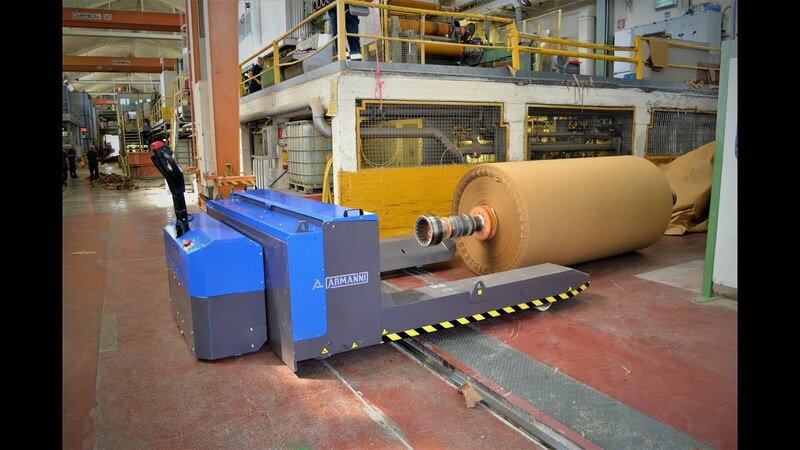 This way, the operator can carry out pick-up, rotation and deposit operations in an extremely simple and safe way by using a single machine to handle reels of different materials and sizes. 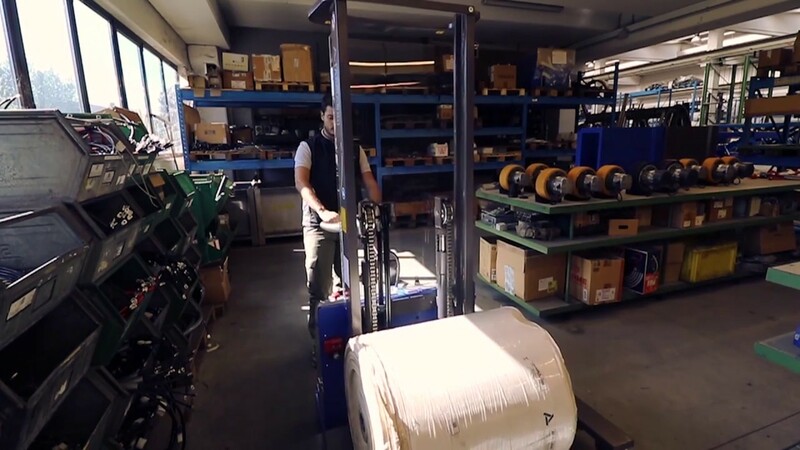 Common lifting forks are suitably dimensioned and shaped according to the length and the diameter of the reels to be handled in a way to assure a perfect interface with the load surface. 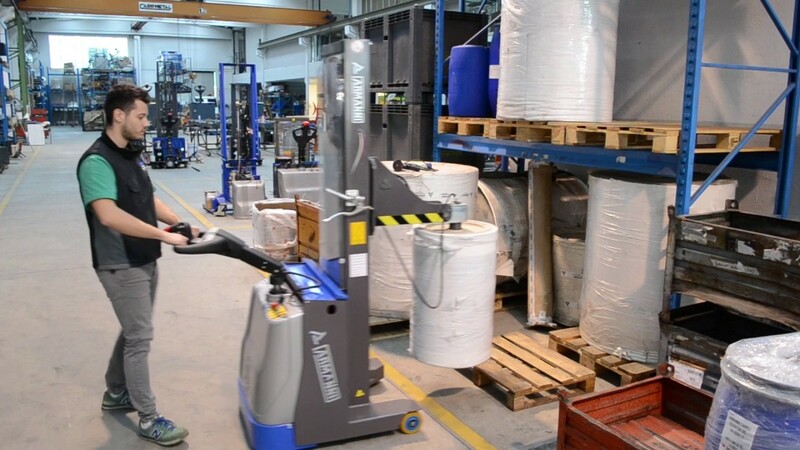 They can be installed in pallet trucks for handling operations at floor level or in lift trucks for storage operation above the floor. 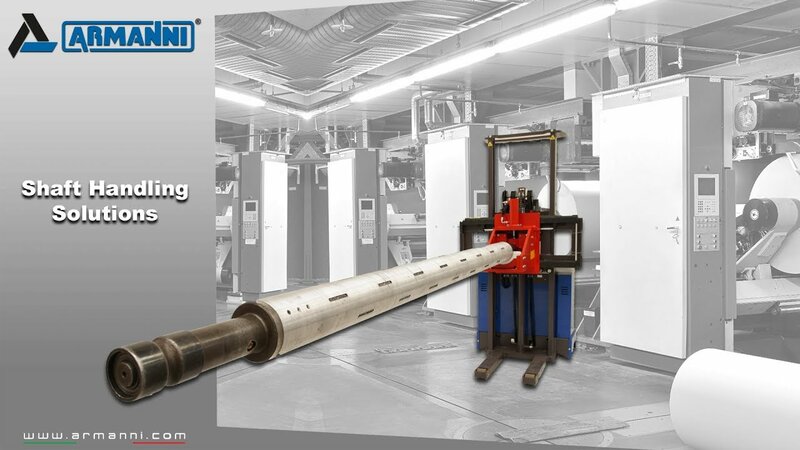 By using the single-fork tool with cylindrical shape (Spike) of a suitable length and diameter, you can fork and handle reels by its core. 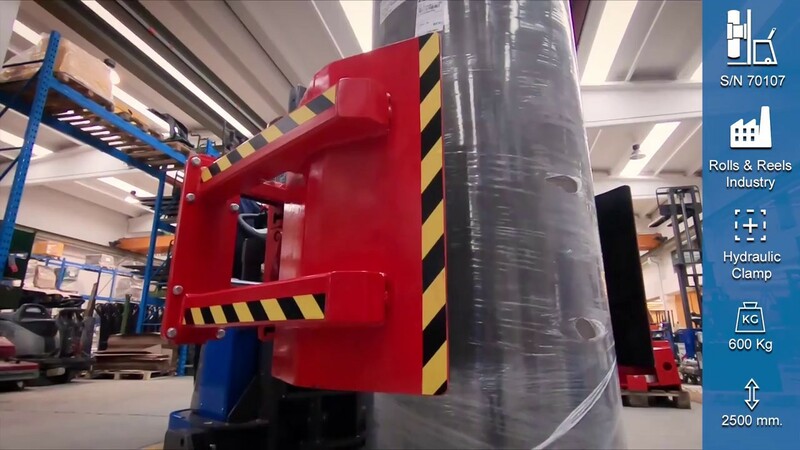 The spike can be installed on each standard lift truck and allow the operator to handle the load at different lifting heights. 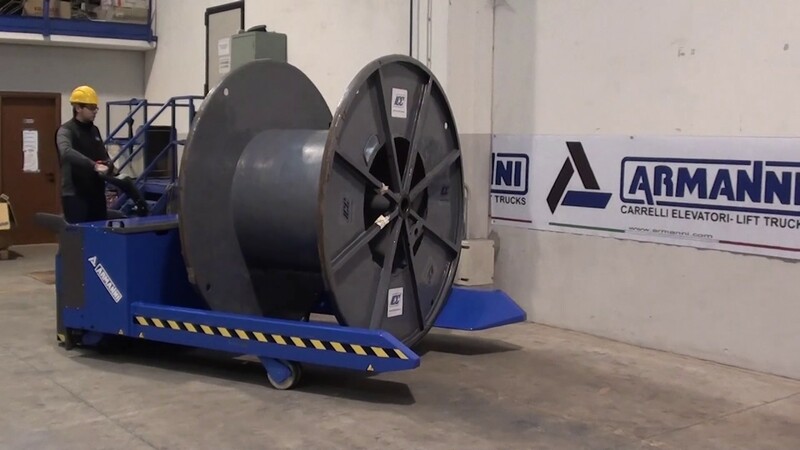 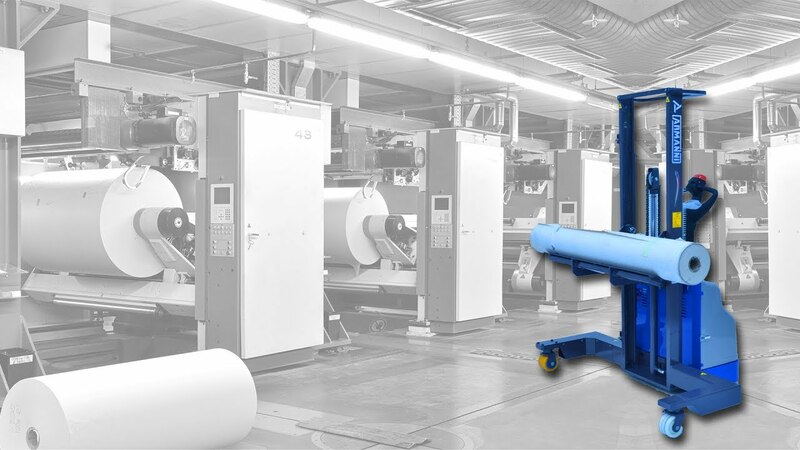 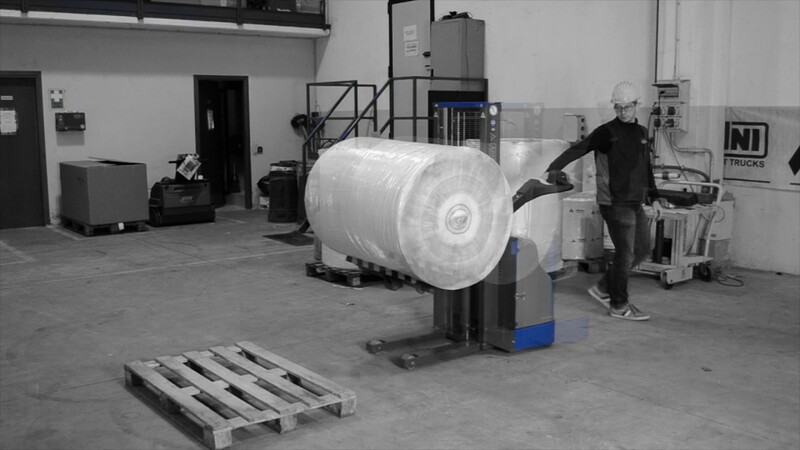 Specifically shaped according to the features of the reel, the cradle-shaped equipment are the ideal tool to safely house the reel during handling operations. 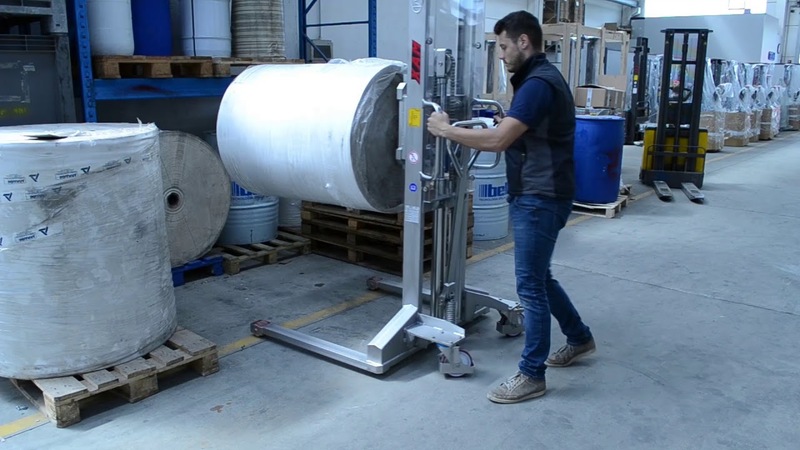 They can be equipped with a suitable hydraulic mechanism and allow the simple release/deposit of the reel without the need of manual pushing by the operator.